We are currently working on our 'Design Your Viper Stripes' app, in the meantime, please email us your requirements. Design your own Bonnet and Viper Stripes with our innovative app. 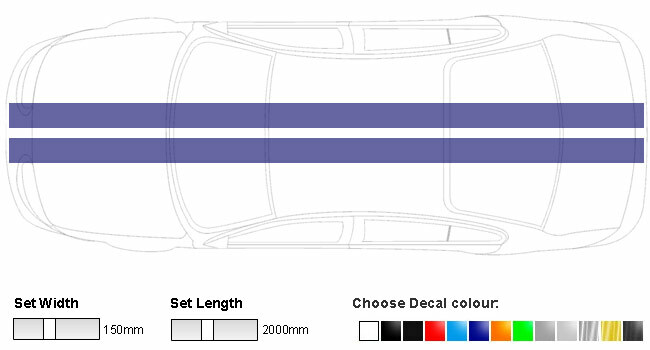 Specifiy the length, width of stripes and the spacing to suit your car.